It’s almost here… less than two weeks until the big game, which means you might be starting to plan your Super Bowl party, especially if your team is playing. 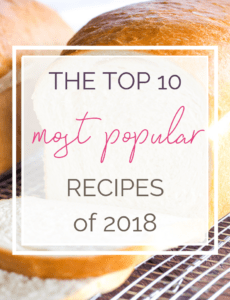 If you need menu ideas, you’ll find a ton of inspiration below, everything from dips and finger foods to main dishes, mac and cheese and, of course, sweets! 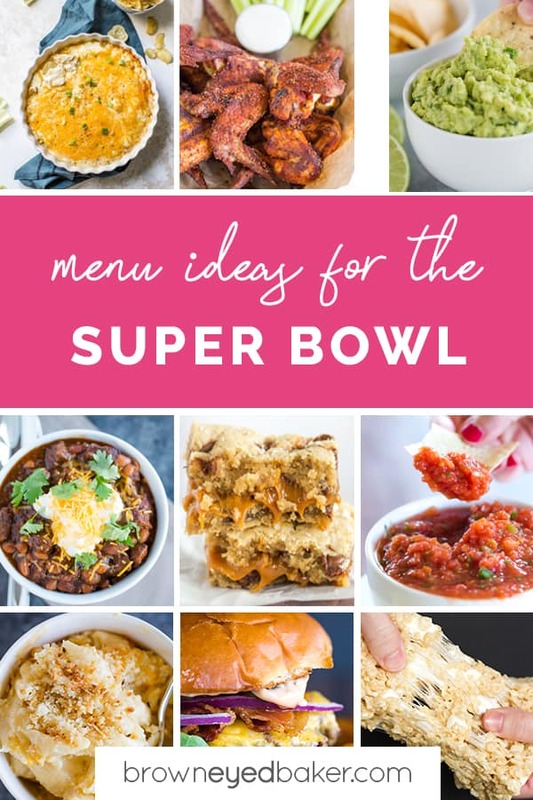 When I think of Super Bowl food, my mind immediately goes to things like bar food, cheesy dips, potato skins, onion rings, wings, chili, sandwiches, and a lineup of slow cookers. And I absolutely, positively cannot even think of a get together without an assortment of sweet treats – brownies, cookies, bars, Rice Krispie treats, and cupcakes, of course. Bring on all of the delicious game day food! I don’t think it’s possible to have any kind of party without at least one dip, let alone a Super Bowl party! 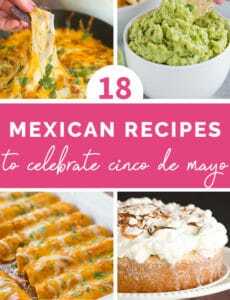 You’ll find an amazing assortment of dips here, everything from classics like salsa and guac to hot and cheesy varieties, and easy ones you can make ahead and keep in the fridge until it’s time to serve. More appetizer-style food that’s a little heartier, and a good complement to the dips. When serving just dips and finger foods aren’t enough and you want to make sure your guests get enough to eat, these main dishes just scream football food. TELL ME! What is some of your all-time favorite game day food? 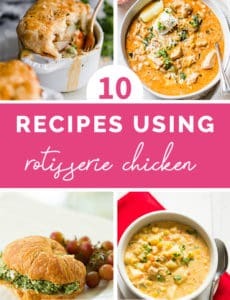 Is there something you make every Saturday or Sunday throughout the season? Next Post » Why I Love My Instant-Read Thermometer + GIVEAWAY! Thanks for all the options! What’s your fave and what typically finishes first?! I agree. You can not have a football party with out dip, wings, and dessert. I would love to have an instant-read thermometer because I love to cook and bake.